I am SO SO SO excited about today’s post!! Not only do I get to share with you my awesome new best friend, but I get to give away a BRAND NEW notebook (ARV $1,499.99) to one lucky reader!! 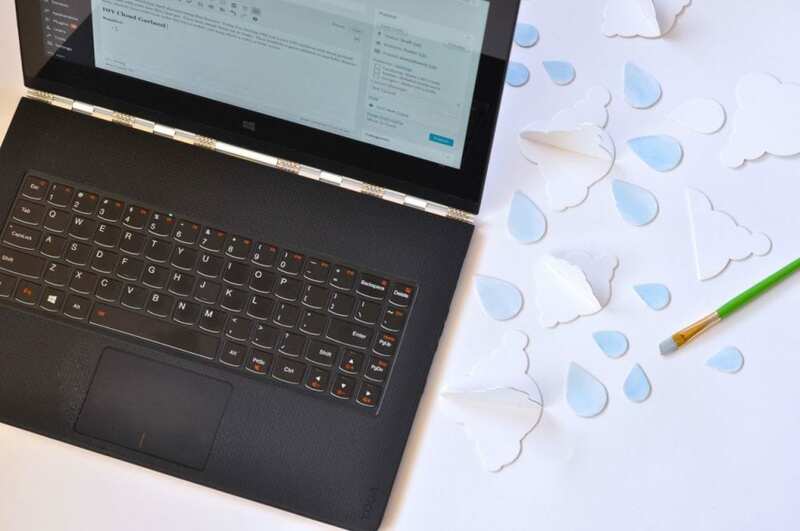 Read on to see what makes this laptop so special, and be sure to enter this awesome giveaway at the bottom of this post. As a maker and a blogger, I am constantly creating and working. My husband has a laptop, but it is a few years old and is VERY heavy, which is why I have been strictly working on my desktop since I started my blog 2 1/2 years ago. It has been very inconvenient to not be able to take my work with me, and to be stuck working downstairs while the rest of the family is upstairs. 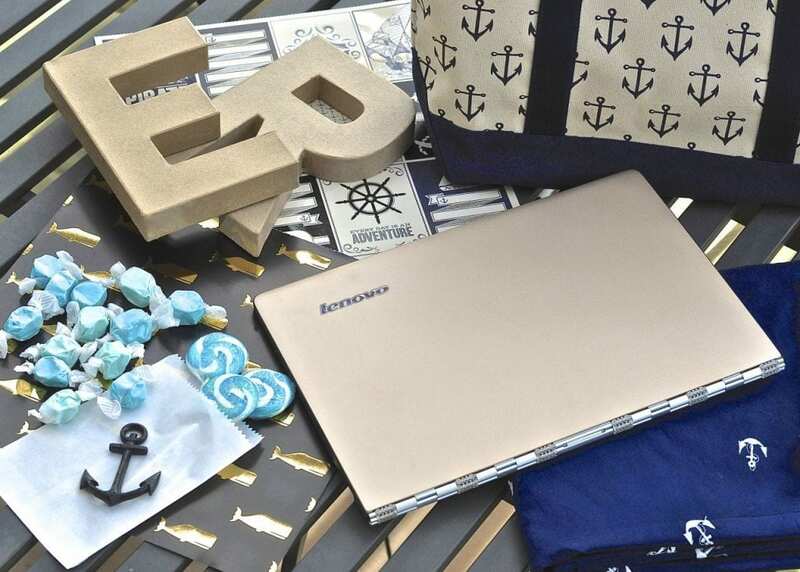 All of that changed recently when I got my new Lenovo YOGA 3 Pro notebook! Now with my Lenovo YOGA 3 Pro, my work goes with me. I no longer have to constantly run from project to computer, but can take the computer with me everywhere I go, whether it’s upstairs, outside, to the pool, or on vacation. 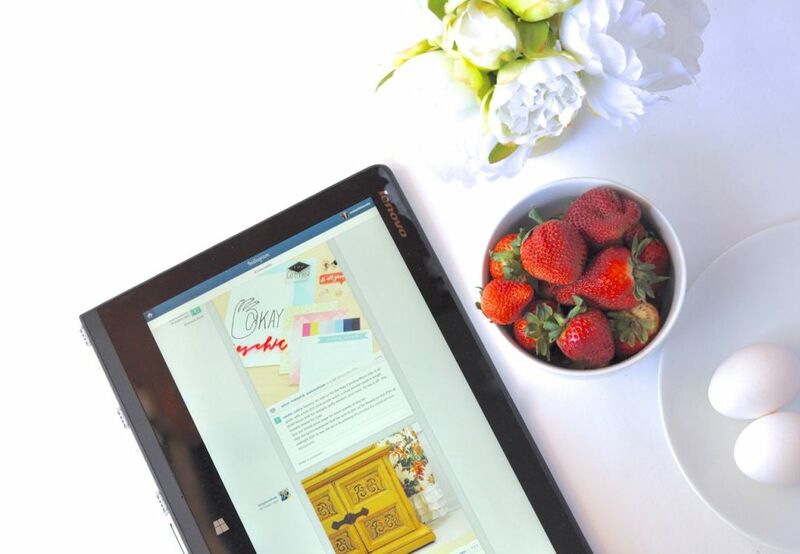 It’s really easy to take the YOGA Pro 3 with me wherever I go, since it so lightweight and is just 12.8 mm thin. Yes, you read that right! This laptop weighs less than my purse does, which is pretty amazing and so convenient. Ashton Kutcher is one of Lenovo’s product engineers and worked with Lenovo to promote this round of YOGA launches. You can check out some of his videos to see the YOGA in action! In the morning I use it to check my emails and catch up on social media while I eat breakfast. With a husband, four kids going to school learning three different languages at three different schools, and my blog, I have no choice but to multi-task! Since I’m just scrolling and reading at the table, I like to use the tablet mode and just use the touch screen instead of worrying about getting crumbs inside my keyboard. It also takes up less space on the table in tablet mode, which is definitely a plus. All I have to do is open up my laptop all the way and flip the keyboard behind the screen to make it perfectly flat. By afternoon I’m busy creating and photographing my projects and creations, so whether it’s spray painting gold dipped vases, baking rainbow cupcakes in baby food jars, or planning my next party, I know that I can rely on my YOGA to help me through it! Depending on the project I’m creating, sometimes I like to write up the tutorial that I’ll be sharing on my blog as I go. That’s when I use my YOGA 3 Pro as a laptop. This helps me to make sure that I don’t forget a step, or miss any important details when I write my tutorial. My computer has up to 9 hours of battery life, so it can last through everything I need it for during my busy days. 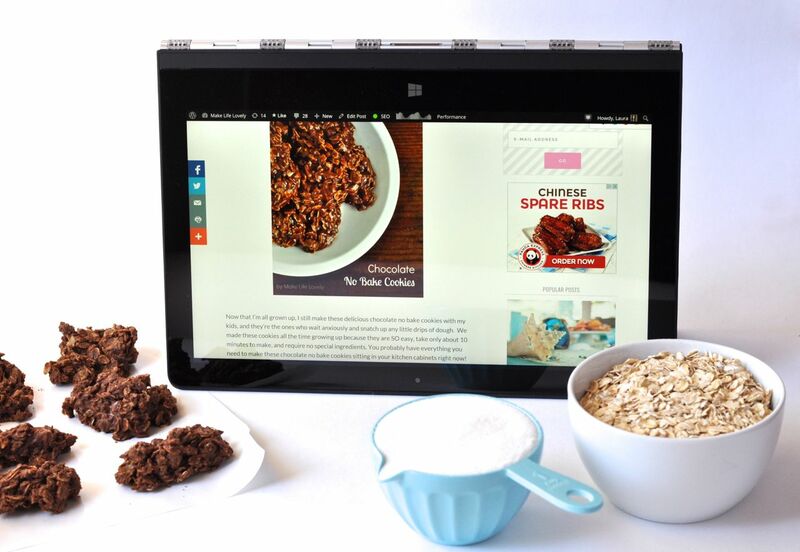 When recreating one of my recipes (or creating a new one), I love to use my YOGA in tent mode. I have had really bad luck with using our other tablet in the kitchen for recipes because it is constantly sliding down the counter when I prop it up. Gone are my old days of propping! Now I just open and flip to make a stand, and I’m all set to make my recipe, like our favorite chocolate no bake cookies that are very addicting. 😉 I can follow the directions easily without getting sugar stuck in my keyboard since it’s tucked away behind the screen. Designing free printables is a piece of cake on my YOGA, especially when I’m designing outside by the pool. I don’t ever worry about lugging around a heavy laptop, since my computer is so light and thin. It makes it a breeze to take and work by the pool, at outdoor activities, and even on vacations. I don’t have to miss out on family movie nights anymore, either, since I’m not stuck at our desktop downstairs. I can sit upstairs at the table or on the couch and still be with the kids and my husband without feeling guilty, which is huge for me! 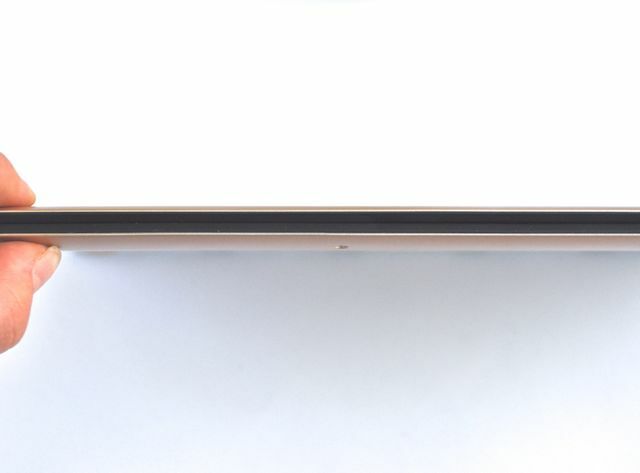 I love that the YOGA 3 Pro comes in three different exciting colors…. goodbye plain boring black laptops. Helllloooo brushed gold (like mine), clementine orange, and light silver!! 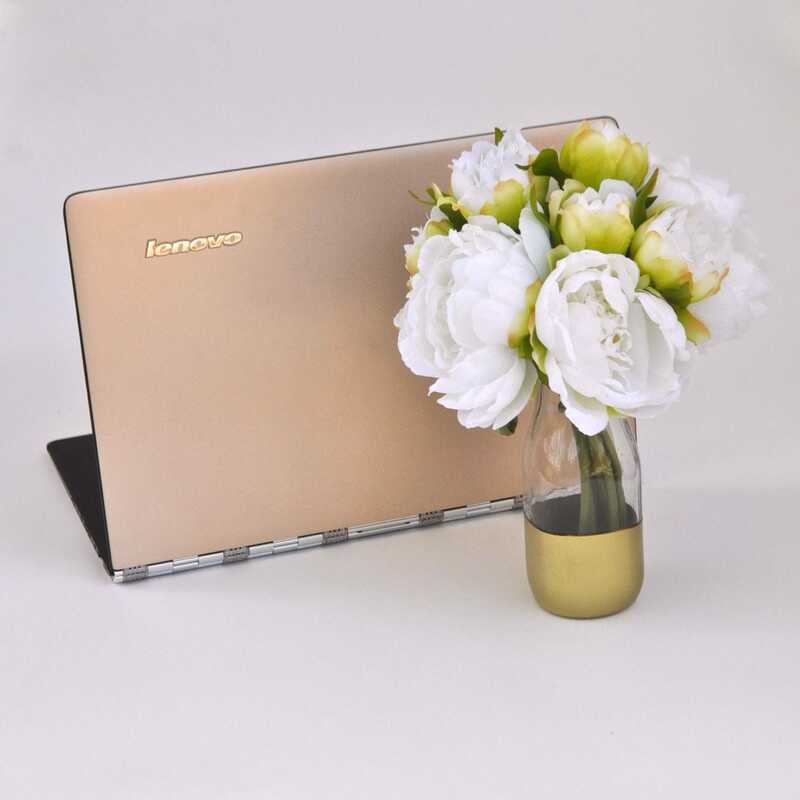 You can check out more info on the YOGA 3 Pro here and see all of the amazing things that it can do. Its’ brilliant hinge was inspired by a watch, and is the reason this computer is so flexible. That’s what 813 hand-assembled pieces of aluminum and steel will do! 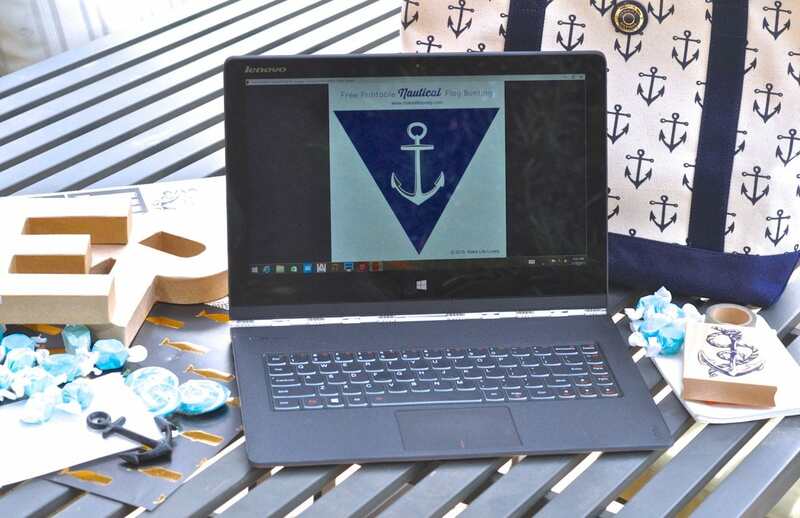 I am absolutely thrilled to give away a new Lenovo YOGA 3 Pro laptop with an ARV of $1,499.99) to one of my lucky readers!! I LOVE my new computer, and I want to share the love with one of you!! Just use the Rafflecopter widget below to enter the giveaway! Hint: To increase your chances of winning, make sure to follow all of the steps in the Rafflecopter. This giveaway will end on Friday, April 24, 2015. You may enter as many times, across the different blog posts, but only one winner is allowed to win per household (see Official Rules & Regulations for more details). All entries will be verified before announcing the winner! Also, be sure to check out the Trend Hub to see how other bloggers are using their Lenovo YOGA 3 Pros and YOGA Tablet 2 Pros! You can also increase your chances of winning by clicking through to their posts and entering each of their giveaways! I entered! Thank you so much for the chance. I’d love to win. Thank you so much for the chance to win. Thanks to your sponsor as well. Good luck everyone. Loved getting a peek inside your creative day! I love the tent mode!! This is amazing! Gorgeous computer! I work from home and my current laptop is living on one hinge. I’m so excited to see this new Lenovo with hinges all along the back. Oooh, I want! Thanks for the chance! brushed gold?!!! oh that would be so pretty!! You would laugh if you saw the 7 year old laptop I used for hours everyday lol! OMG! What a giveaway!!!!! this is def a a great laptop from a great company! Thanks for the chance..im excited! Love your site. Thanks for the chance. Learning about Blogging and found you hosting ” GiveAway” at the moment. Could not resist to entry to the prize even I am a Mac head and do not know how to use any others. Hope I would get luck! Yaaaaaay…. The winner is now displayed on the Rafflecopter above. Thanks for entering! Wondering who won these Lenovo Tastemaker giveaways because it said it ended on the 8th. Maybe the winners didn’t accept the prize yet? The winner is displayed in the Rafflecopter widget above. Lenovo had to validate the winning entry, so the winner was just announced. Thank you so much for entering! !